Software Cornwall is pleased to announce that another Mission to Mars is being prepped, ready for launch in October 2018. 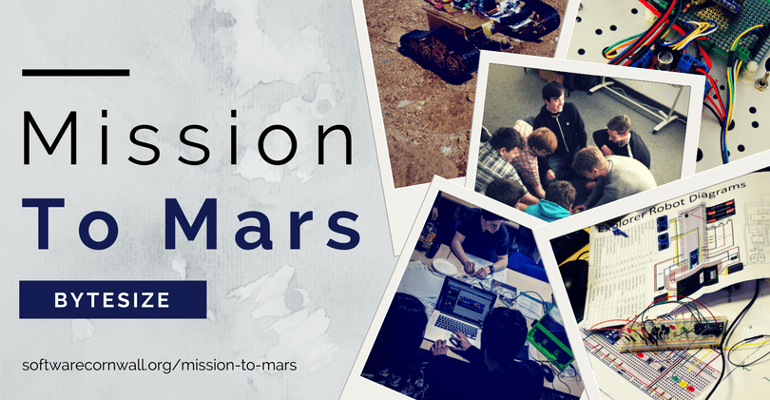 The five-day long program invites budding software developers to code Ada & Alan, our Mars rover robots, allowing them to traverse the tricky Martian terrain in search of extraterrestrial life…. Software Cornwall, with the help of their members, are hosting and supporting their annual work experience project week from 15th – 19th July 2019. This work experience week will see up to 40 students work for a week as a software engineering team on a software development project alongside industry professionals….